Published September 27, 2012 by Cadence Mandybura in Visual Arts from FastForward Weekly newspaper. When did this happen? September 27, 2012. Posted in Events, Make, News, Shows. 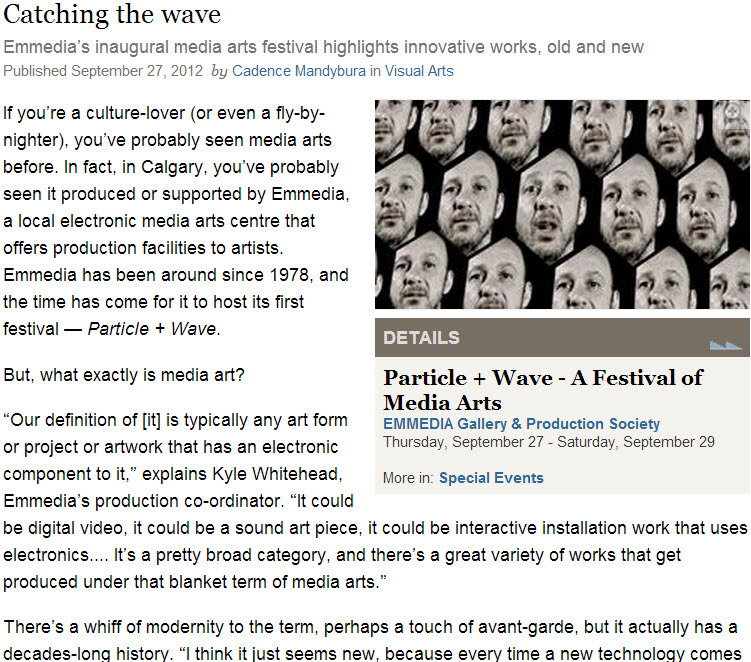 Tagged with article, ffwd, Particle + Wave.